James Kavanagh, Jim Foley and Alan Hardie have worked with trustees and sponsors across a broad range of occupational pension schemes both in terms of asset and member size as well as Defined Benefit (DB) and Defined Contribution (DC). All directors have worked with principals from the premier actuarial, administration, audit, investment, pension consultancy, legal and tax organisations and have wide ranging experiences of negotiating on clients behalf including trusteeship, mergers and acquisitions or wind-ups. If you want impartial, knowledgeable and professional trustee advice, please telephone us on +353 1 806 2750 or contact us by e-mail on enquiries@trusteedecisions.com. There have been many calls by professional bodies and government for better run pension schemes, particularly around the area of communication, governance and investments. We share this desire and want to ensure a more comprehensive range of related values. We believe that a situation where sponsoring employers, trustees, members and advisors all consider each others’ requirements and understand exactly what they can expect from each other is eminently achievable. James Kavanagh, Jim Foley and Alan Hardie can confirm compliance with the Pensions Authority regulations on trustee training in accordance with s59AA of the Pensions Act. James is a former Director, Council member and Chair of the DC Committee of the Irish Association of Pension Funds. Jim is a Director, Council Member and Chairman of the Irish Association of Pension Funds (IAPF). The CGAI seeks to promote best practice in governance across the commercial, public and voluntary sectors by developing and supporting the development of Codes of Good Governance in partnership with like-minded organisations. PensionsEurope ensures a regulatory framework for pension institutions financing workplace pensions or other retirement provisions, which allow them to deliver adequate, safe and affordable pensions and retirement provisions. CFA Ireland is the Irish professional body for those engaged in investment analysis and portfolio management. CFA Ireland is a member society of the CFA Institute, which is based in the United States. CFA Institute is an international, nonprofit organization of more than 70,000 investment practitioners and educators in over 100 countries. The primary objective of the Irish Institute of Pensions Management (IIPM) is to promote professional standards amongst those working in the field of pensions, with education being central to the achievement of this objective. 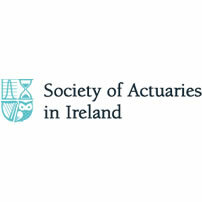 The Society of Actuaries in Ireland is the professional body representing the actuarial profession in Ireland. The Society is dedicated to serving the public by fostering the highest standards of professionalism and competence in actuarial practice. Established in 1995, ICGNs mission is to inspire effective standards of corporate governance to advance efficient markets world-wide. This is achieved through the ICGN Global Governance Principles which are implemented by (1) Influencing public policy by offering a reliable source of practical knowledge and experience on high standards of corporate governance (2) Connecting peers at global events to provide a forum for dialogue between companies, investors and other stakeholders; and (3) Informing knowledge through guidance and education to stimulate awareness of responsible share ownership. The Defined Contribution Institutional Investment Association (DCIIA) is a member-driven non-profit association of defined contribution stakeholders who are dedicated to enhancing the retirement security of workers. The APLI is an association for lawyers and others involved in the practice of law relating to pensions and other employee benefits and related matters. The primary objects of the APLI are to assist, foster and promote the education, instruction and availability of information, studies, consultations, discourses and exchanges of views in relation to pensions and benefits law. To learn more about how our experience can benefit your trustee scheme, don’t hesitate to drop us a line.